Certified in the warm tropical waters but want to try some local diving? We recommend a cold water introduction with either an instructor or divemaster. The gear is a bit different, having to wear a thicker wetsuit, hood, gloves, boots and of course more weight to offset the buoyancy of all that extra neoprene. Having someone experienced guide you through the first few dives and review basic open water skills, will make the experience much more enjoyable and it will be more likely that you will continue to dive in cold water in the future. Contact the store for dates and information. 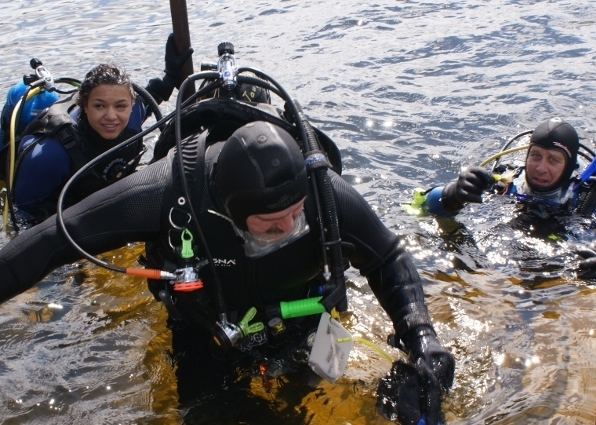 Are you a newer diver or maybe more experienced but have never done cold-water diving before? We highly recommend that you hire a divemaster for the day to show you the ropes. Not only are our divemasters experienced at all the popular dive sites around Alberta, but they will be able to assist you with proper weighting, gear configuration, entering/exiting, and just having a good time. In our experience, divers who are new to cold-water diving are much more likely to enjoy themselves when they've had help from someone more qualified, compared to those that have ventured off on their own to try to “figure things out”. Call the store for more details. 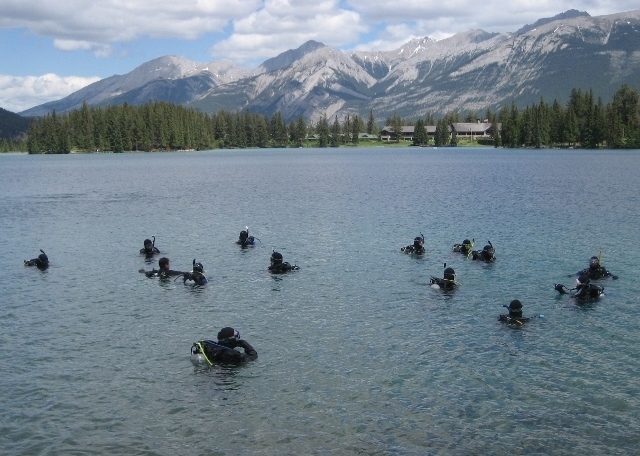 Some of the more popular lakes for scuba diving around Jasper are Beauvert, Annette, Edith, Horseshoe, and Patricia. Click on the Dive Maps page to find out where these lakes are located. Camping is very handy as well making for a great camp 'n' dive weekend for the whole family. There are lots of activities in Jasper such as hiking, site-seeing, shopping, or just relaxing by the campfire. We will be heading out for weekends in Jasper 5-6 times throughout the summer. Contact the store if you’re looking for an opportunity to go diving or get introduced to local diving with the guidance of a divemaster or instructor. We also do after-work dives during the summer for those needing to get wet and have busy weekend schedules. Some local lakes that we like to check out are Twin Lakes, Long Lake, Narrow Lake, Clear Lake and a few others. Contact the store if you are interested. Check out the Alberta Underwater Council calendar for upcoming diving activities around Alberta. 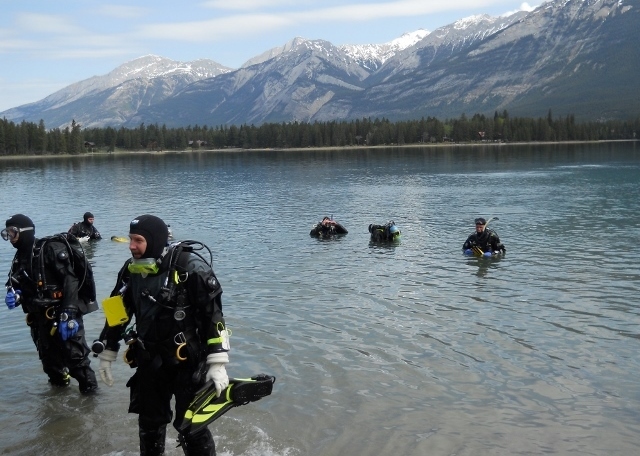 The AUC along with local dive shops host a variety of diving events around Alberta. Lake clean-ups, underwater rodeo, underwater pumpkin carving contest, and of course the World Underwater Poker Tour that is hosted by The Dive Outfitters on Canada Day. Nobody to dive with? No worries. These events attract tons of divers so you'll always have someone to dive with. Known around the world for some of the best temperate-water diving in the world, BC's emerald sea has a plethora of marine life. We organize group dive trips to the Island several times per year. Each trip focuses on a different part of the island like Victoria, Nanaimo, Quadra Island, Hornby Island, Browning Pass. These trips sell out very fast, so contact the store if you’re interested. Talk to the great staff at Nanaimo Dive Outfitters to find out what local dive activities are happening or to find a buddy to dive with. Book a boat dive with a local dive charter and check out one of the artificial reefs located only minutes from Nanaimo harbour. The Riv Tow Lion is a nice easy dive even for beginner divers. If you're more advanced, check out HMCS Saskatchewan or HMCS Cape Breton for the wreck dive of a lifetime. It’s always nice to “just go diving” and it’s what we recommend to all divers, especially new divers who are still honing their basic skills. But when it’s time to move on to some more challenging dives, we recommend taking a Specialty Diver Course to learn the ins and outs of a more advanced dive. 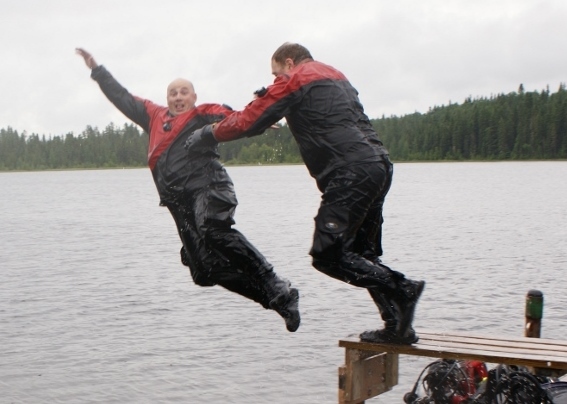 Some of the Specialty Diver courses that are popular are Advanced Adventure, Deep Diver, Night Diver, Advanced Navigation, Advanced Buoyancy, Nitrox Diver, Drysuit Diver, Dive Propulsion Vehicle (Scooter), Solo Diver, or Rescue Diver. These are all courses that we offer on a regular basis and are great ways to advanced your skills and become a more confident and comfortable scuba diver. In the winter when it’s too cold to local dive and you have that itch, come out for our video nights. Featuring a diving destination from somewhere in the world, topics include local diving, Vancouver Island, Bonaire, Caribbean, and lots of popular destinations. Guaranteed to meet some potential dive buddies, do some socializing, and see some great videos and presentations. When you just need to get wet, come out for some pool fun time. You can test out some new gear, practice your skills, or just lay on the bottom and blow some bubbles. Scheduled during our regular pool training sessions throughout the year. Also check out the AUC website for winter fun dives at Kinsmen.